Breaking a project down into smaller components linked as a program. There are a few slightly different concepts involved, however the two above form the cornerstone of PPM. Business goals, objectives and strategies can be likened to a series of initiatives. An initiative may be to provide the best after sales service in an industry. A number of strategies might be put in place to meet this objective. Some of those may require IT development. One component of the IT might be a facility to track customers, and their after sales activities. A typical IT focused approach may be to look at a CRM system that also helps with tracking new clients, managing mail-outs, and a range of pre-sales activities. Suddenly you end up with a CRM project that has as one outcome, better after sales service. The benefits to the business are being driven by IT. "After Sales" area will not reap the reward for a year or three. Even then, they are likely to be diluted by the compromises that had to be made with other users of the new CRM system. As its name implies, Project Portfolio Management groups projects so they can be managed as portfolios. This happens in much the same way that an investor would manage his stocks, bonds and mutual funds. There is a boundary, and what happens inside the boundary is actively managed. The boundary is related to one thing the company wants to achieve. In the IT world, the obvious benefit of Project Portfolio Management is that it gives executives a bird's-eye views of projects so they can spot redundancies, spread resources appropriately, keep close tabs on progress and manage demands. An initiative is a goal for the organisation. It is not bounded by the financial year or changed each time the annual plan is updated. Providing better after sales service is an initiative. If the initiative is to provide the best after sales service, one project may be to log and track the service. Another may be to build a dispatch system to return product to the owner. Another may be some automated test program to identify faults in the product. All focus on assisting the achievement of the initiative. The key aspect of the initiative is that it is ongoing. It may become a key platform for the organisation for years or even decades. The program is the work that is required to achieve and maintain the initiative. The projects make up the program. The program may itself span several years. In fact there will probably be work as long as the initiative is in place, so there will always be a program. Most organisations structure is designed around the initiative. There is probably a senior executive responsible for "After Sales Service". 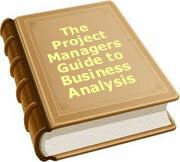 That person will evaluate all the projects - both business and IT - in the program and determine which has priority. There is no magic formula to do this. Cost benefit is one criterion. Ability to successfully undertake the project is another. So is the issue of resources and time to complete. But the world does not stand still. Just as an investment portfolio is constantly updated and changed, so the PPM is changed. Projects may be expanded or contracted. Resources may be moved around. New projects may be added and current ones dropped. The Project Portfolio is actively managed to meet changing business needs. The example above of a CRM system would be seen as one possible solution. If PPM were in place however, it is likely that the focus would be on what we can do sooner that meets our needs. It shifts the focus from the idealistic solution to the pragmatic solution. If several initiatives have projects that point towards a CRM system then it makes sense to look at that. If only one has a requirement then a faster, more focused solution will get the job done for less money. As an example, a CIO I know was looking for a CRM solution for a manufacturing company. The selection and implementation timeframe was several years. He had an urgent need for a machine maintenance system which would eventually be resolved by the ERP system. Support from the existing software supplier was about to cease. The decision was, do we wait for the ideal solution, and live with the pain, or go out and buy an interim software package costing well over $100k? His answer was a third option. Since the initiative was to improve factory efficiency, the replacement of the maintenance system was a project within that program. Using all the concepts of flexibility of portfolio management, he had one of his brighter developers download a copy of MYSQL, set up a Linux server, and in a month had a home built system in place. Total cost less than $10k. The solution was fast, cheap and pragmatic. It was not bound up in corporate IT directions and standardisation. It was written with one eye to the old data, and the other on moving to a new ERP system in a year or two. PPM is about ensuring you have a group of projects focused on taking the business somewhere they want to go. It is about being able to respond quickly to changes in the environment. It is about short projects that give quick wins. It is about the business setting direction and then creating a series of steps to get there. Management see the projects as groups of activities contributing to an initiative. They are not a series of unrelated work. Dependencies are easier to identify. If we don't upgrade these servers, we can't run the new software. Both are part of the same initiative. PPM is not a completely new concept. It is more an evolution of the efforts of IT management to align with the business. It is a way of helping business prioritise within a pragmatic framework. It links neatly with a Project Office where the Project Office is focused on identifying and managing dependencies between portfolios. Of major benefit however is that Project Portfolio Management allows flexibility to meet changing circumstances. It is focused on quick deliverables, and solutions that are totally targeted to achieve a particular outcome. To date, 337 people have rated this article. The average rating is 3.49 - Add your rating. Just select a rating and click the button. No other information required.